On December 12, 2017, the Medicines Patent Pool (MPP), a United Nations-backed public health organisation with the mission to increase access to HIV, hepatitis C and tuberculosis treatments in low- and middle-income countries, made a welcome announcement for cancer patients: the expansion of MedsPaL. MedsPaL is a database created to provide information on the intellectual property status of priority medicines in developing countries, to patented treatments on the World Health Organization (WHO)’s Model List of Essential Medicines (EML), and its expansion is certainly a step in the right direction. 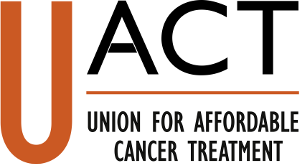 UACT was encouraged to see that data on patents for certain medicines to treat chronic myeloid leukaemia, breast cancer and other cancer indications have been added to what was previously solely an HIV, hepatitis C and tuberculosis medicine database. According to the MPP, MedsPaL now covers 6,800 national patent applications in more than 110 countries for more than 70 priority treatments. The added patent information includes seven medications crucial to cancer patients, their families, their doctors and their advocates. Medicines such as bendamustine, bevacizumab, dasatinib, imatinib, nilotinib, rituximab and trastuzumab are included on the MedsPaL database as a first step in incorporating additional data on patented medicines on the WHO’s EML. Finally, for UACT, the MPP announcement should be seen as one of the measures that is needed to address access problems in the near term, while governments should continue to work, in parallel, on the implementation of more transformative reforms such as progressive delinkage of R&D costs from medicine prices, which will lead to reforms of the ways new medicines are developed and made available to all cancer patients.